THE total amount of water stored in the Murray–Darling Basin’s dams has dropped below the 50 per cent mark, signalling the need for irrigators, industry operators and environmental water managers to continue their close watch on water availability as summer approaches. The Murray–Darling Basin Authority (MDBA) head of river operations, Andrew Reynolds, said that in a climate as variable as the Murray–Darling Basin’s it was normal for water storage levels to fluctuate, which meant business managers, including farmers, needed to take into account the possibility of decreasing water availability when planning ahead. “Across the Basin, we have 10,848 gigalitres of water in storage right now, which translates to 49 per cent of capacity. This time last year storages were at 71 per cent,” Mr Reynolds said. Mr Reynolds said with dry conditions expected into summer, the authority was anticipating the high demand for water would continue. 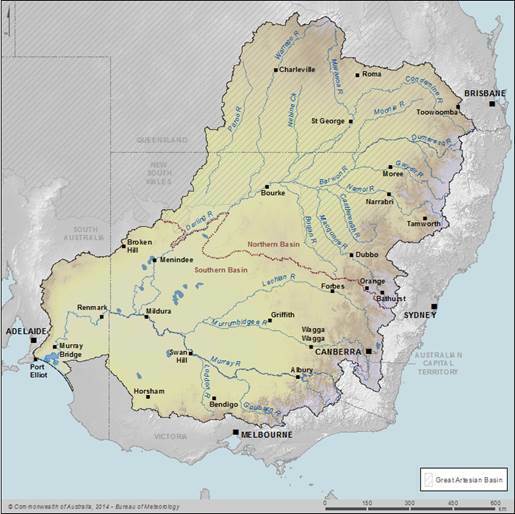 “In the southern Basin, at all times we manage the Hume and Dartmouth dams and Lake Victoria to maximise the amount of water available for allocation in the River Murray system by the New South Wales, Victorian and South Australian governments,” he said. “While the Lake Victoria storage was at its lowest volume since 2009 for the start of October, this was a result of managing efficiencies by delaying the transfer of water from Hume Dam so that should any tributary inflows have occurred over winter and spring they could have been captured in Lake Victoria. Mr Reynolds said the continuing drought in NSW and Queensland meant the state-run storages in the northern Basin were all well below 50pc capacity. “It is critically important that all water users plan ahead and consider the resources available to them to cope with a range of scenarios, including that dry conditions might continue,” Mr Reynolds said. “The water market is available to help people to use their carryover and buy, keep or sell allocations on the open market. “We don’t know how long the drought will last, and will continue to plan for the possibility that storage levels will be a concern into next year.